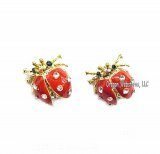 Make a bold statement with these ladybug earrings. 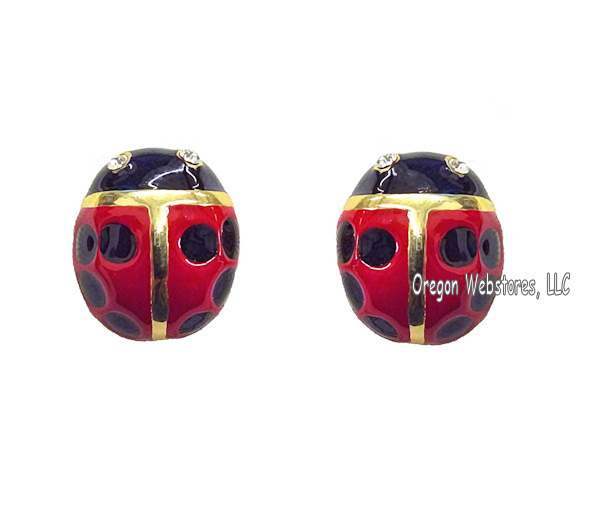 These big post style earrings are made from a golden metal and the head and wings are enameled in red and black. The eyes on the ladybugs are clear cut crystals. The backing on the earrings have a clear plastic comfort guard. Size: 3/4"